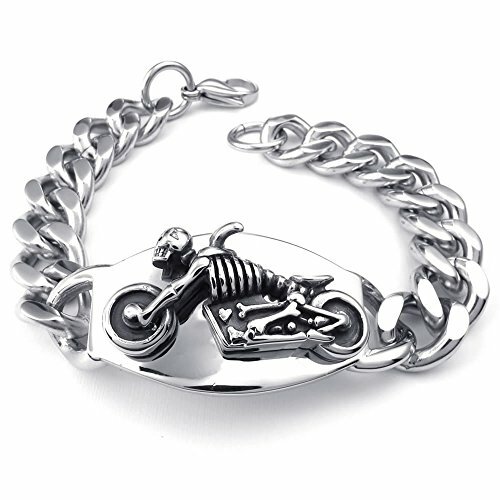 Purchasing Mens Biker Jewelry is a thoughtful, expressive and appreciated gift. 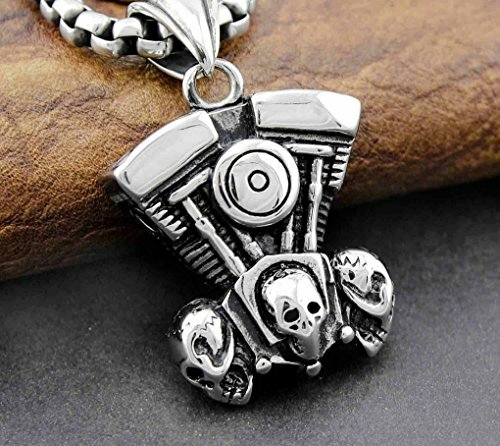 Adorning yourself or gifting jewelry to others in the motorcycle world can be so much fun. 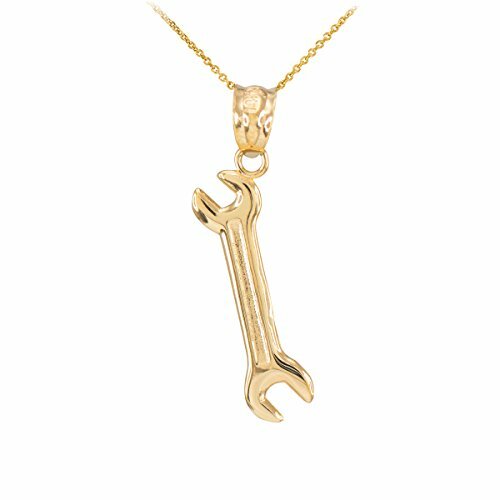 Motorcycle jewelry can even be a wearable investment. 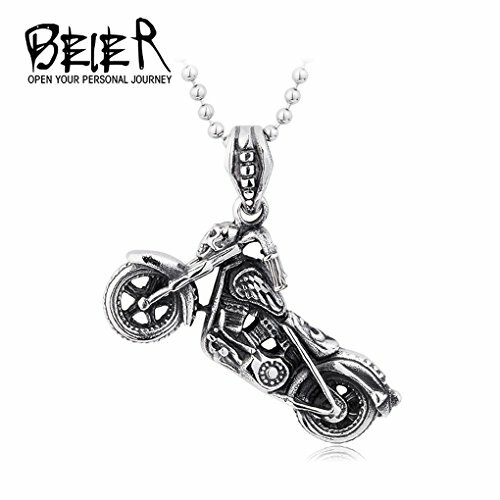 Rugged, manly bikers proudly wear earrings, necklaces, bracelets, watches, belt buckles and rings. 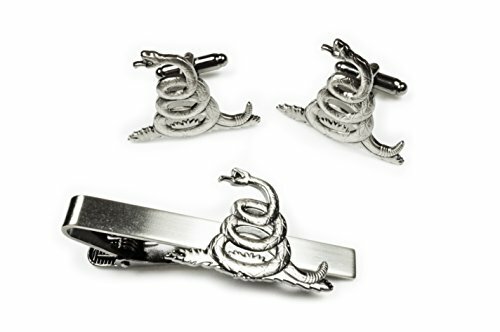 On the odd occasion when they may wear a suit, there are tie clips and cuff links. 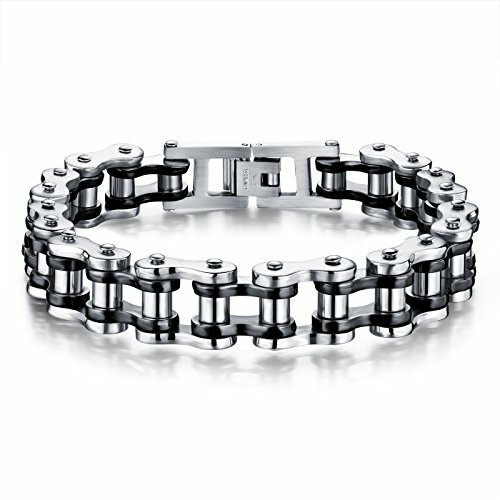 Most men would love to receive a wearable gift of jewelry for Valentines day, Christmas or their Birthday. 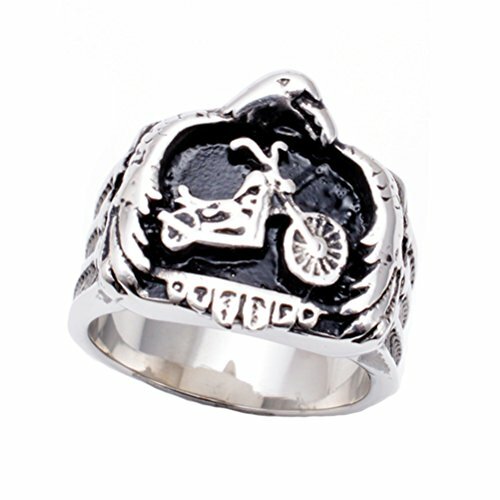 Mens biker jewelry is a wonderful gift idea for any special occasion. I have seen men receive jewelry as a thank you gift for being a best man or groomsman at a wedding. Jewelry is also an appropriate gift to a godfather, or a graduating student. Jewellery tells a tale about the wearer and provides enhancement to the personality of the owner. Much thought goes into the creation of and subsequent selection and purchase of jewellery for yourself or others. 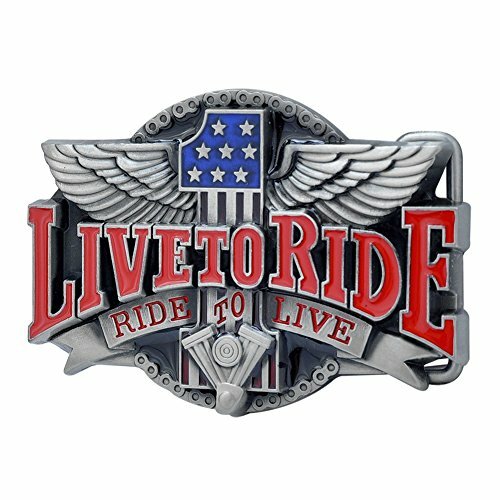 What to gift to the biker guy in your life? Are you buying for a dad, brother or significant other? 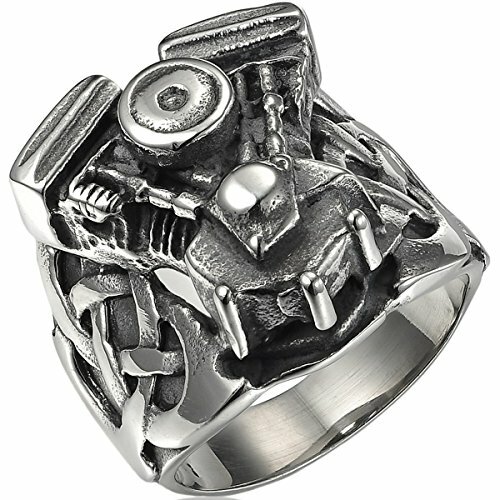 As an avid motorcyclist, I have seen and talked to many men wearing these particular types of jewelry. Most men have a story to share about how they acquired their pieces and the meanings behind them. 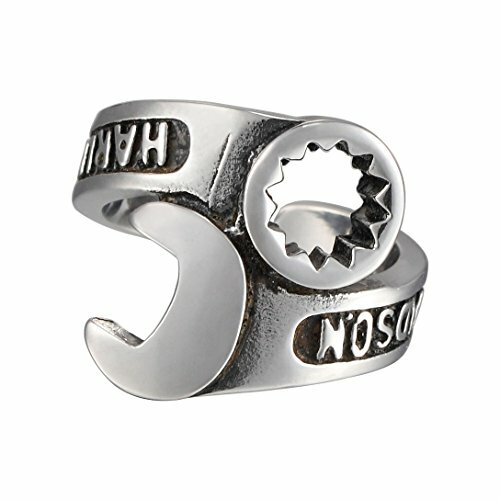 Why buy biker jewelry for a man? · Jewelry is non-consumable. It lasts. 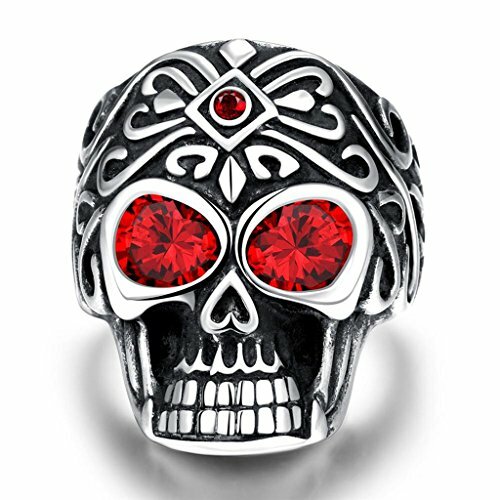 · Most jewelry pieces are a quality gift. · Allows for personal expression of individual taste. · The gift is a reminder of the giver or the occasion that it was received. · The pieces are art. They are made by craftsmen that take pride in their creations. · A theme can be built upon if desired. 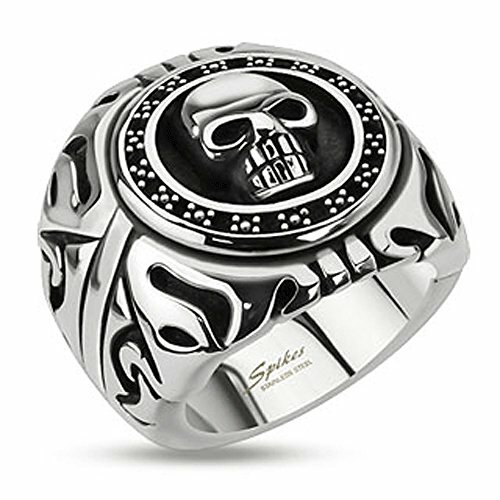 For example, if a man receives a skull type necklace, perhaps next time he will receive a skull ring or bracelet. 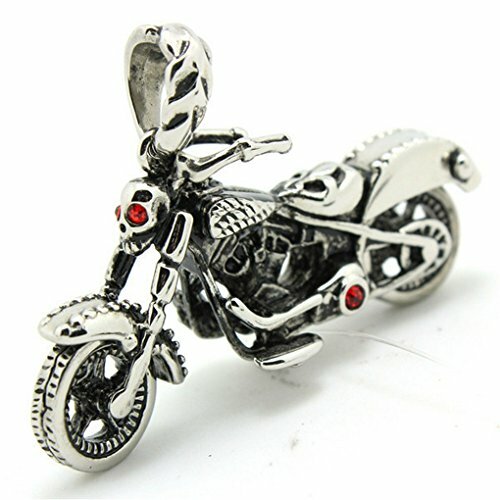 I would like to share with you a small sample of the wide selection of mens biker jewelry. These are a few of my favorites. 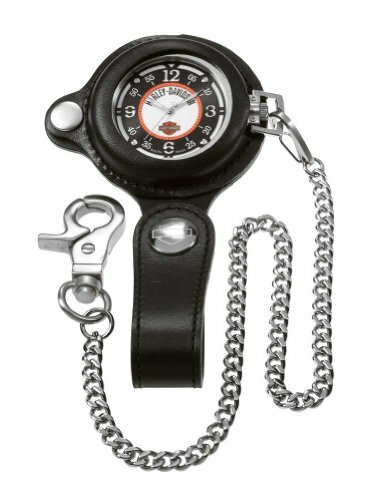 Although modern day technologies have almost made the old fashioned watch a thing of the past, there are still many guys who sport a wrist or pocket chain watch. These time pieces are more than just jewellery. They are both practical and decorative. 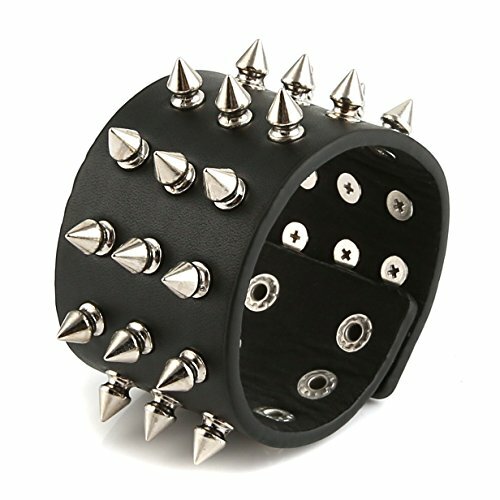 Watches are solid and practical as well as decorative. And lets face it, when our cell phones run out of battery, it is a reassuring thing to glance down at your watch. There are casual sports styles and dressy jewel encrusted models. The bands on these watches can be leather or chain style or elasticized metal, and can be works of art within themselves. 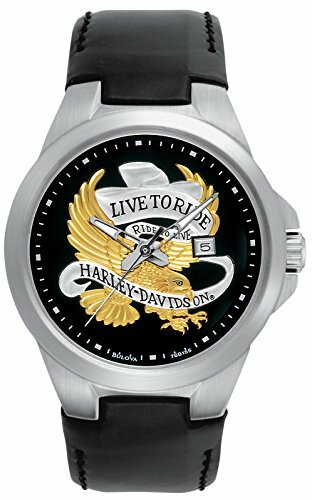 Harley Davidson or other motorcycle themed watches just scream attitude. 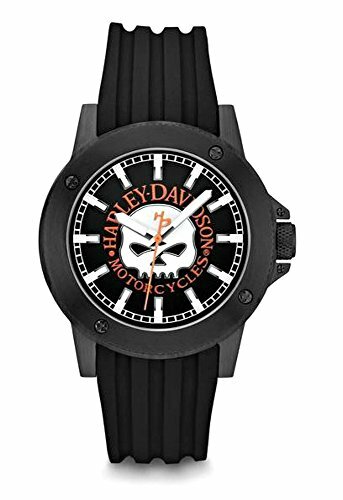 Would your biker friend wear one of these watches for men? 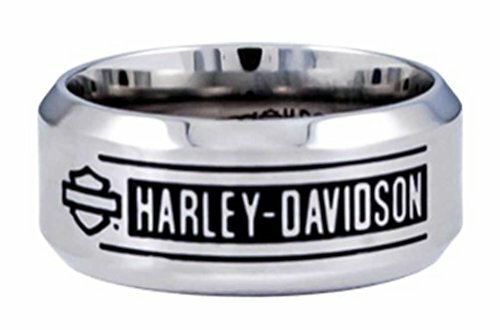 Many men sport motorcycle themed rings on their fingers. 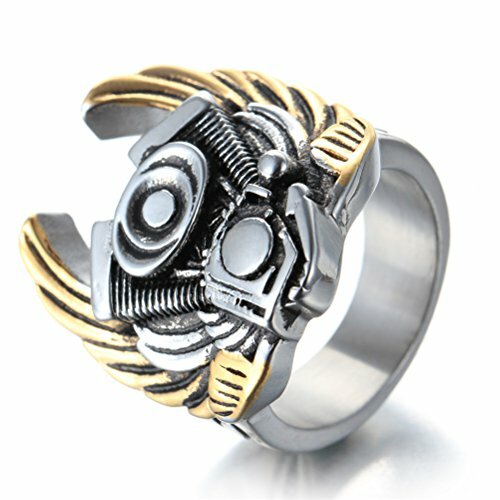 Artists employed at creating jewellery have created many cool, badass rings for the biker man. Materials range from gold, silver, stainless steel, carbon fibre, copper and gemstones. 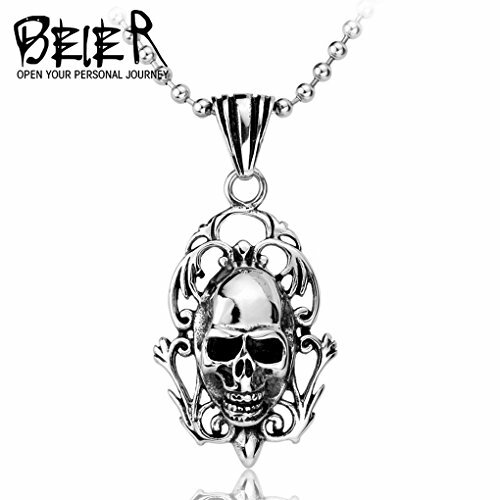 Designs include engines, skulls, chains, old school mottos and many unique designs. There is something to suit every personality. 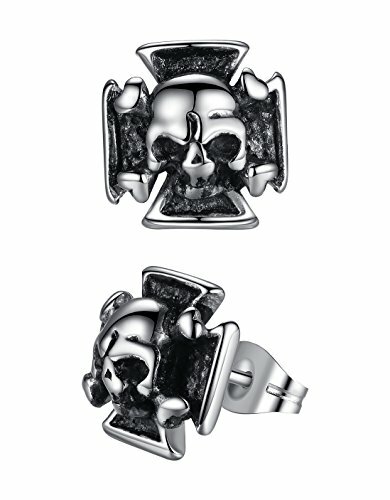 Can you buy a ring for your dad or son? Of course you can. 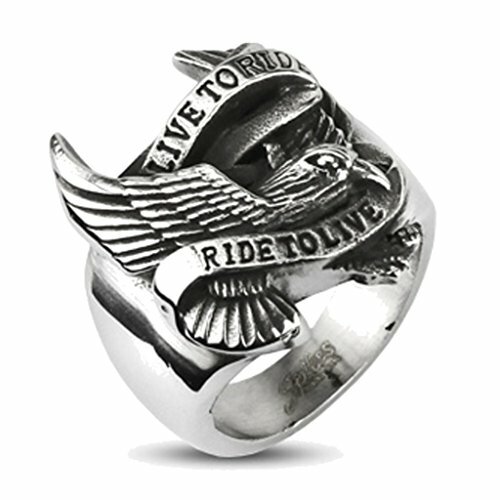 Rings are an integral part of Mens Biker Jewelry. 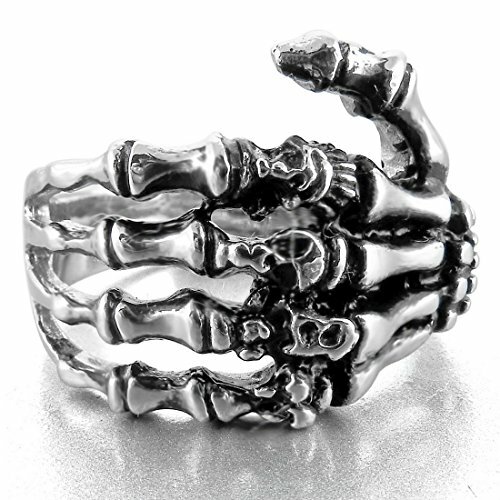 I know you will find some excellent rings in this collection. I view rings as wearable art. 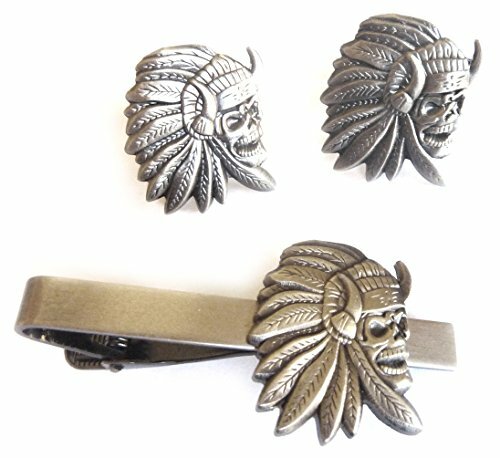 Are belt buckles jewellery or clothing? I think that because they adorn the belt they should be included in the jewellery section. Either on or off your motorcycle, the importance of keeping your pants up is not a debatable point. Sporting a belt buckle should be a personal statement of style. 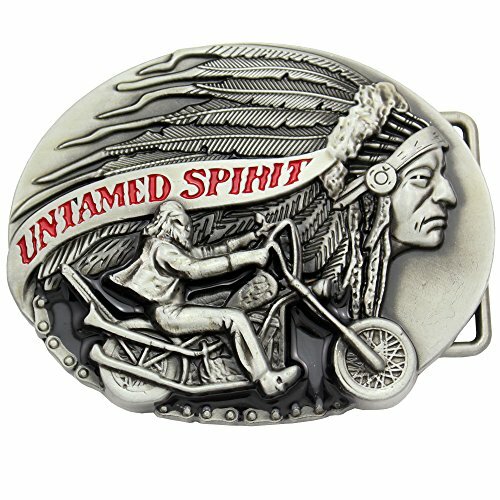 Giving a gift of a belt buckle to your favorite biker male is a fantastic idea. Buckles can be simple or ornate. 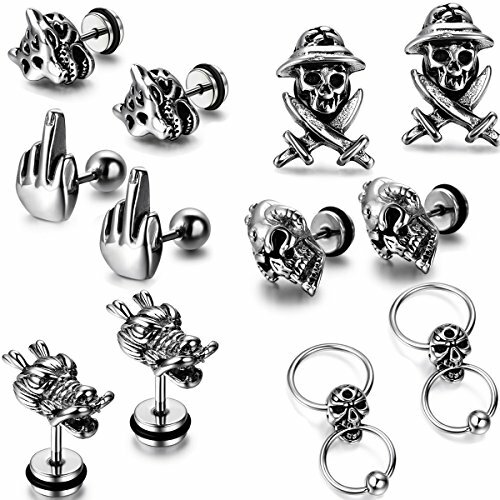 Themes range from vintage to skulls to a v-twin engine. 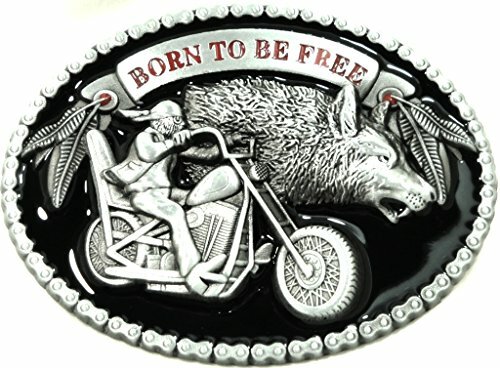 Biker mottos and eagles are also popular choices for buckle design. 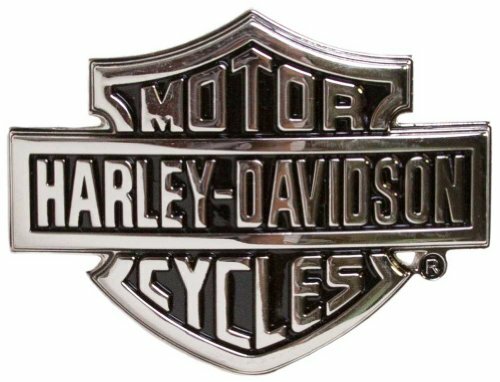 Buckles are not limited to Harley products. 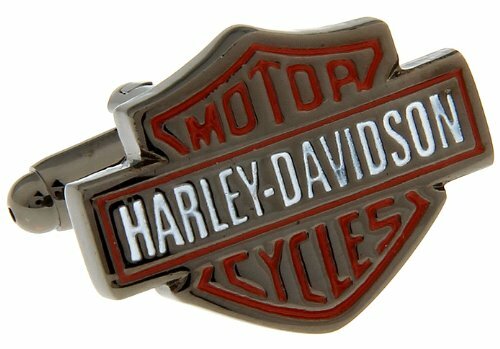 There are mens belt buckles for Indian, BMW, Norton, BSA and virtually any brand of motorcycle. 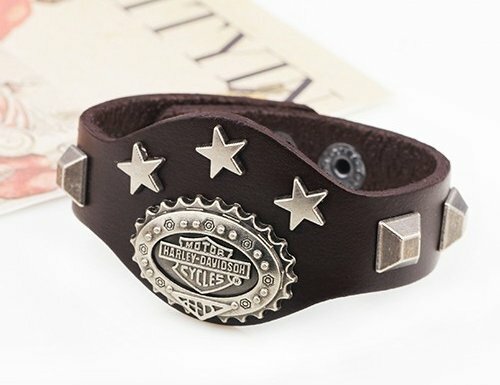 A good quality belt should be enhanced by a buckle that enhances the personality of the wearer. 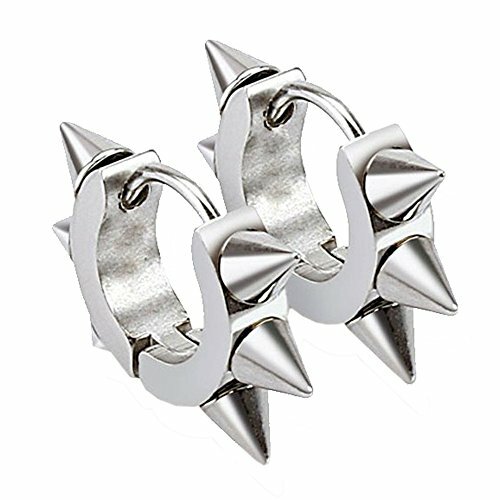 Although earrings are worn by both males and females, there are some predominantly masculine earrings that would appeal to the biker men. 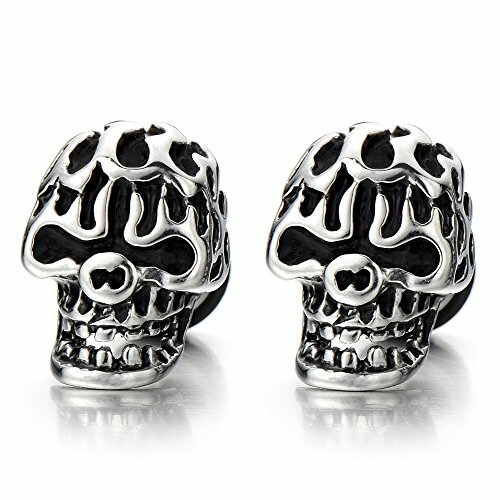 Earrings can be cheap and fun costume jewelry or a more expensive gift with meaning. Also, earrings are no longer limited to ears. Tongue, lip, eyebrow and faces are pierced nowadays. 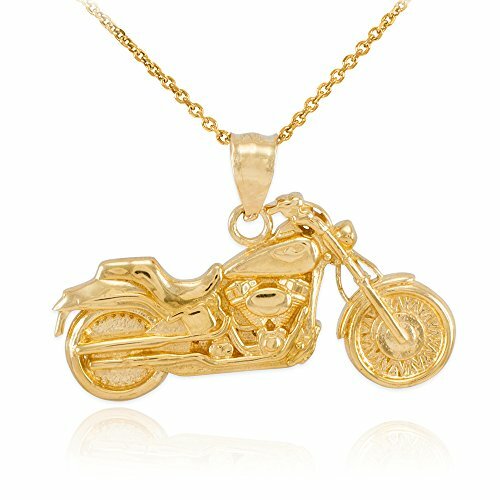 Biker earring materials can consist of hypoallergenic metal to gold. Designs are as varied as the imagination. 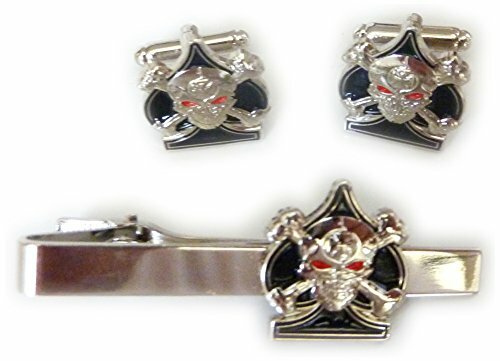 Again, skulls, the Harley bar and shield and other motorcycle insignia are very popular. 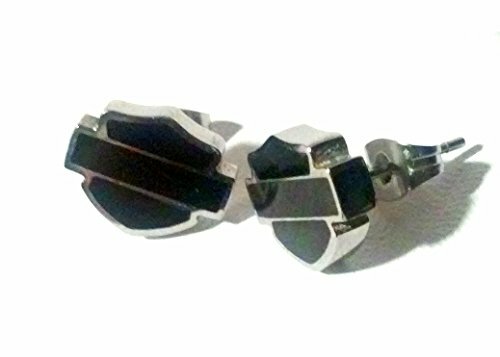 Motorcycle earrings can be worn as a pair or individually. 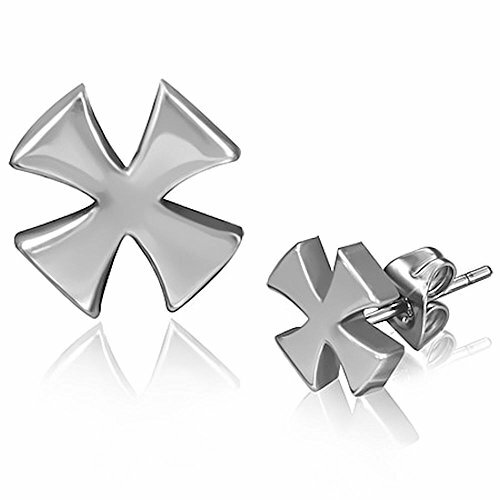 Why not start a collection of earrings for him today. There are many choices, so don’t limit yourself. 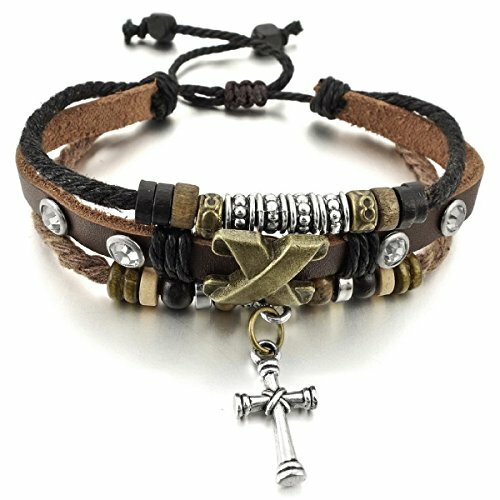 Bracelets are a good, basic product to be included in mens biker jewelry. 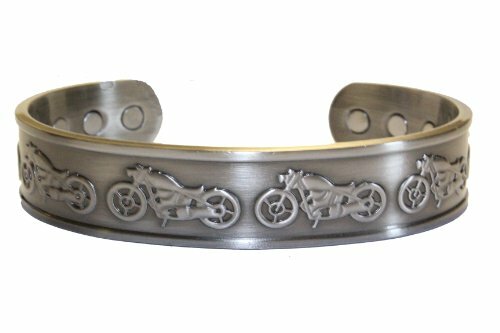 Biker guys really do like a cool, motorcycle themed wrist band as a gift. 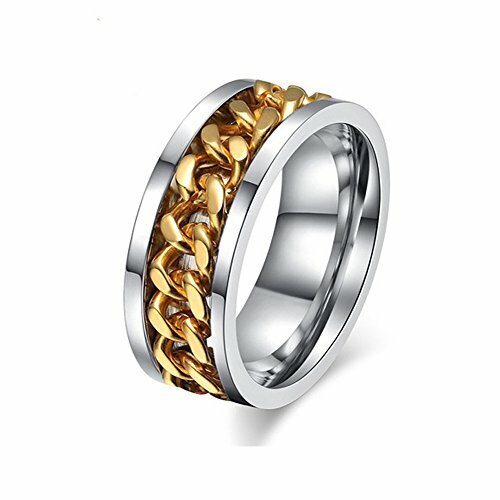 Simple metal or silver chains or leather bands are the preferred choices, although gold and other metals are often used. Often a tag with a meaningful saying or image adorns these bracelets. 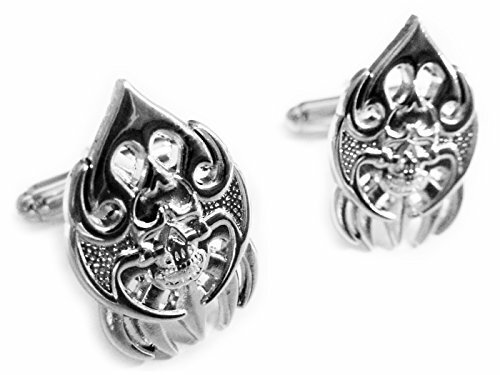 Styles can be simple or ornate, depending on the tastes of the wearer. If you are not comfortable giving rings or necklaces, bracelets are a safe, non-committal type of gift. I see many guys wearing wrist bands that have been gifted to them. A necklace or neck chain is a piece of jewelery that is close to the heart! 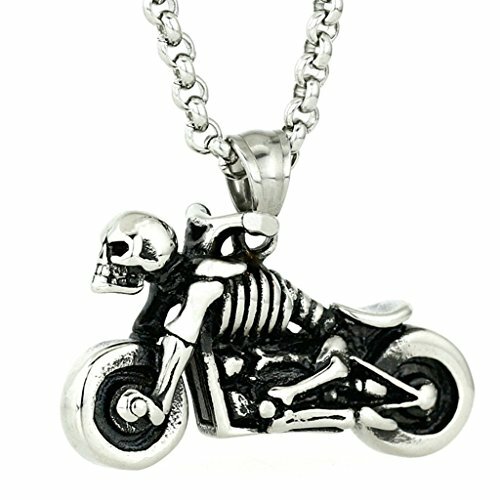 Prices for mens motorcycle necklaces range from economical to extravagant. 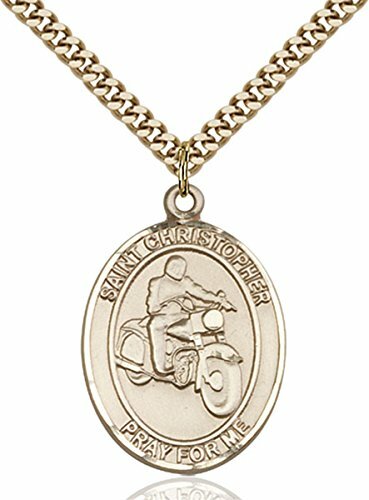 You can rock his special occasion with a gift of a motorcycle themed pendant that is surrounded by a simple leather thong, or you can purchase a masculine chain to hold your chosen piece. 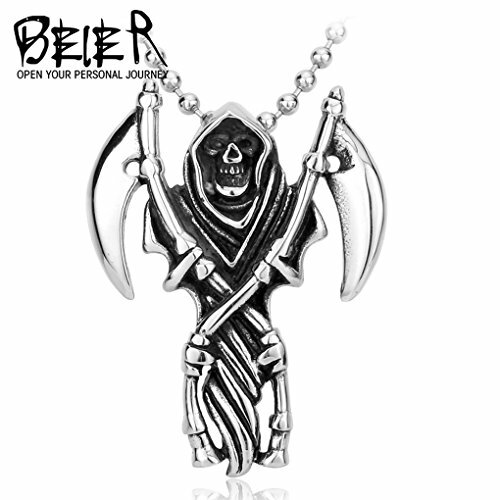 Some necklaces are sold with the chain or thong as a unit and some must be purchased separately. The possibilities and combinations are endless. 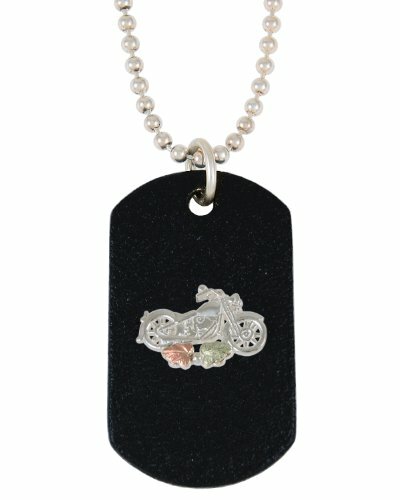 Remember, you are not limited to just a Harley Davidson Necklace. 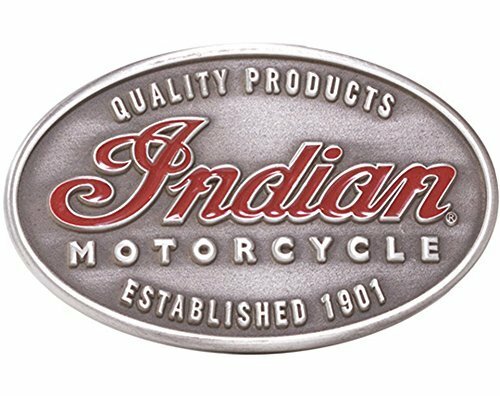 There are many choices for every make and model of motorcycle. 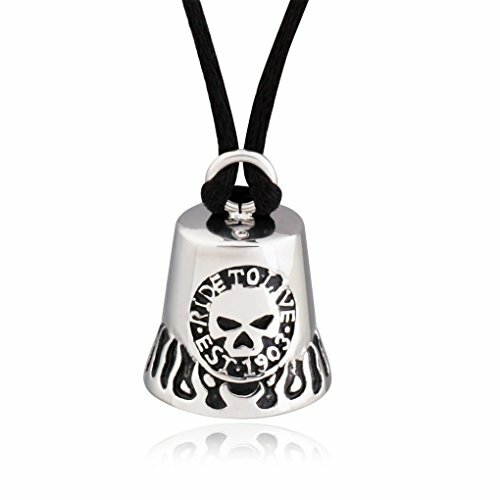 Also, dog tags, eagles, bar and shield, flames and skulls are some top choices. 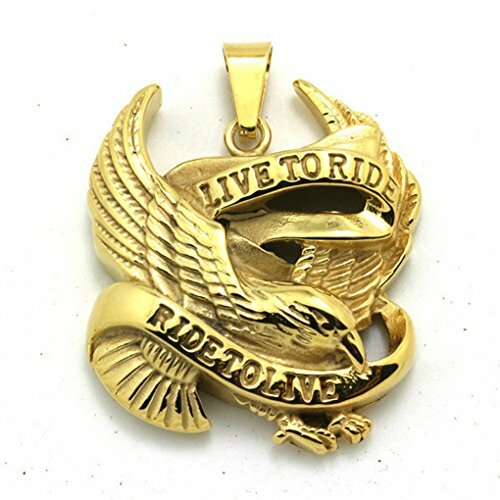 Live to Ride and other mottos and sayings are popular for the pendant. Picture your biker fellow all dressed up for a wedding, funeral or other special occasion. Sometimes it is so hard to get them into semi-formal or formal attire. 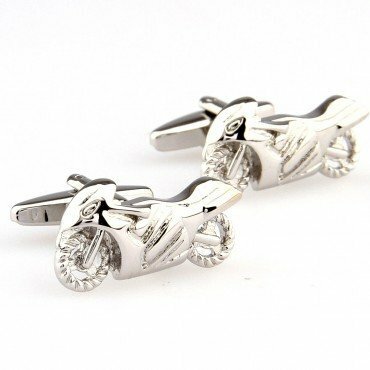 How better to still keep his attitude than to sport a motorcycle themed tie clip and cuff link set. There are many themes for these beauties. There are motorcycles, eagles, skulls, v-twin engines, flames and the ever-popular bar and shield. This is a way to be dressed up and still be the rebel. I have seen many compliments dished out to chaps who wear these items. 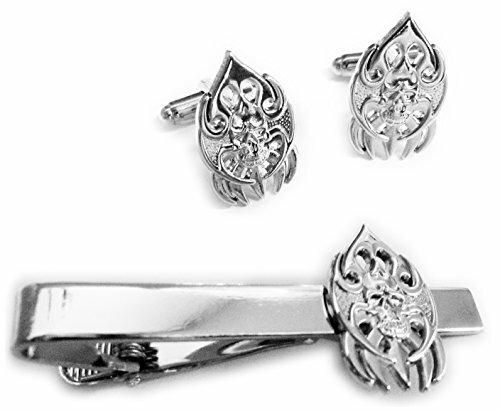 It may be easier to get your man into a suit if he has tie clips or cuff links that distinguish his own personal style. 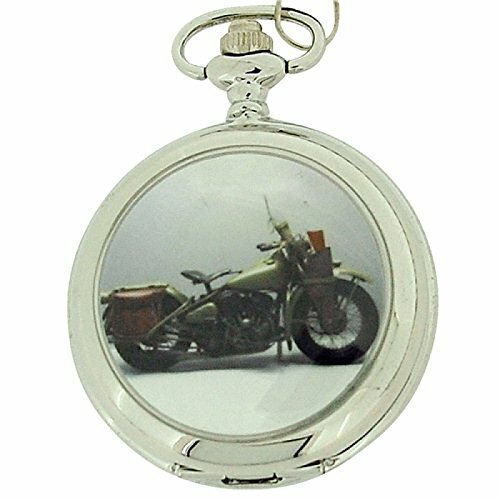 Thank you for checking my article for some ideas for mens biker jewelry. 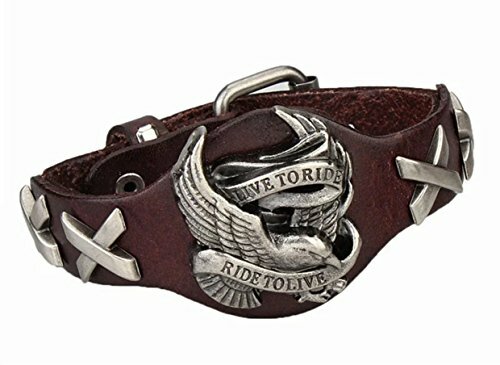 As a motorcycle rider, I enjoy seeing the variety of biker jewelery that men wear, and hearing the stories of how they acquired them. Sometimes they are gifts from special people, or are reminders of special occasions. I hope I was able to give you a small amount of insight and ideas on this subject. I plan on adding some more ideas to this post, so please feel free to check back in. I love to hear your stories and ideas.